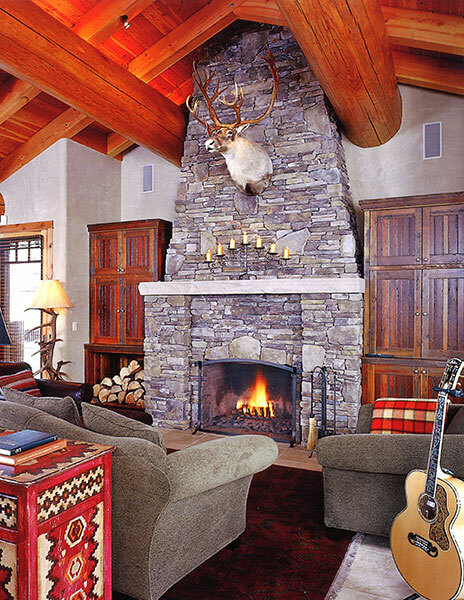 Multiple front-access entrances make this home a busy family’s dream. 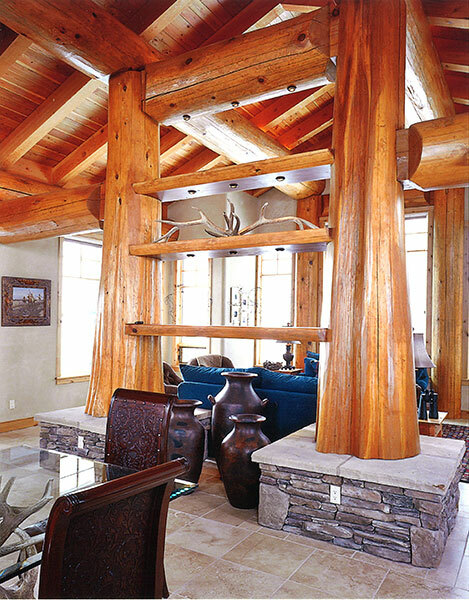 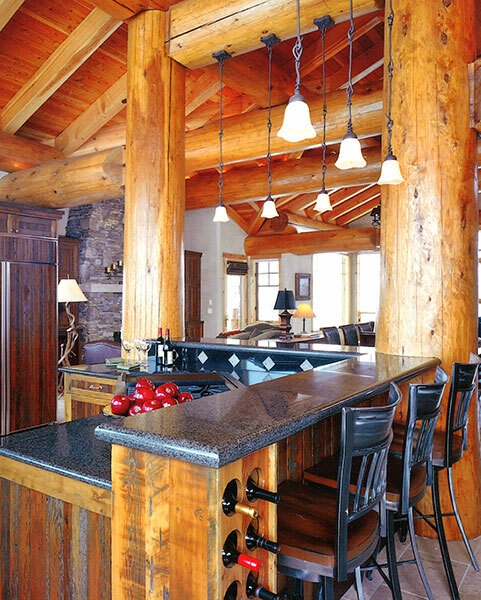 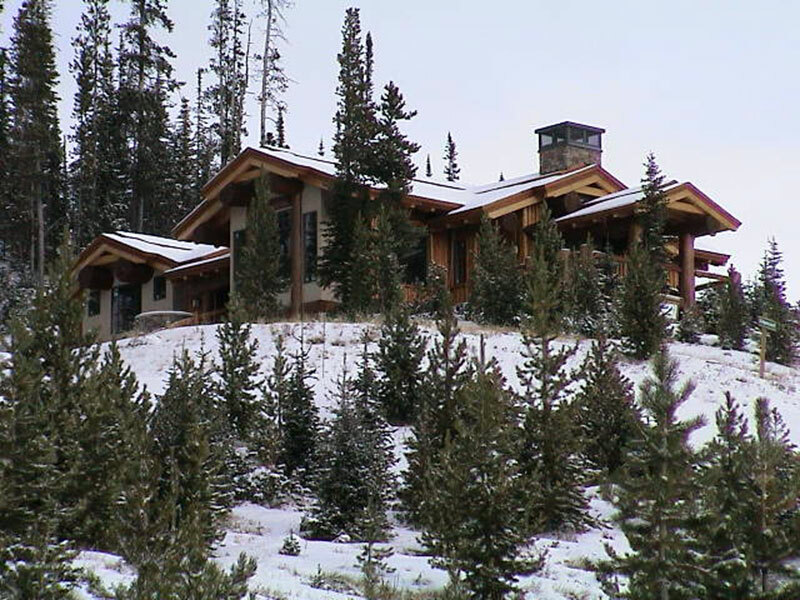 The enormous Canadian cedar logs used in the construction of the Ridgeview II House make this Big Sky home look as if it were built around a magnificent stand of trees. 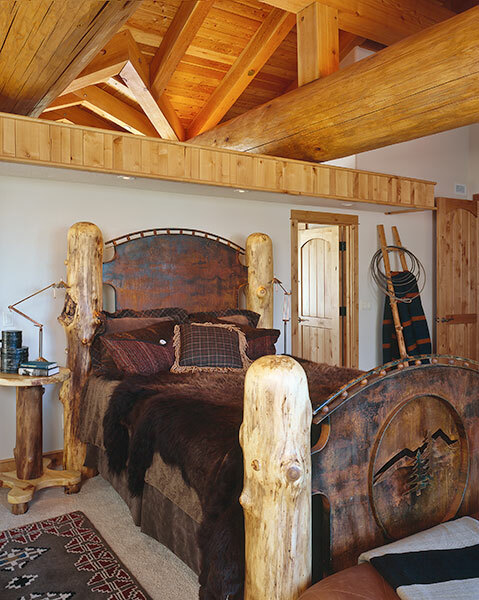 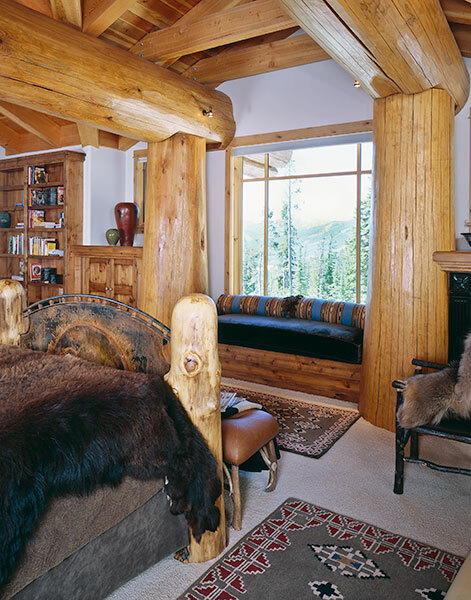 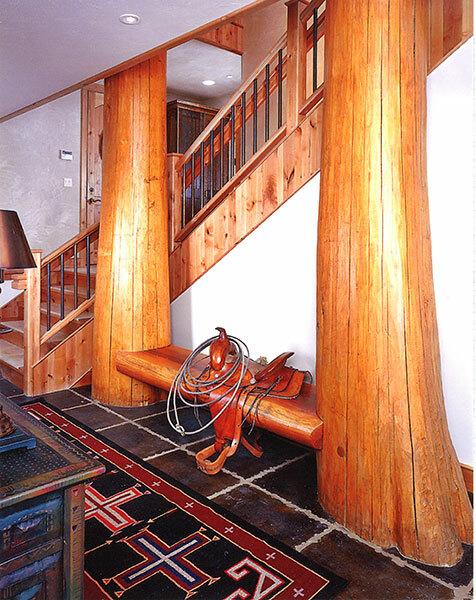 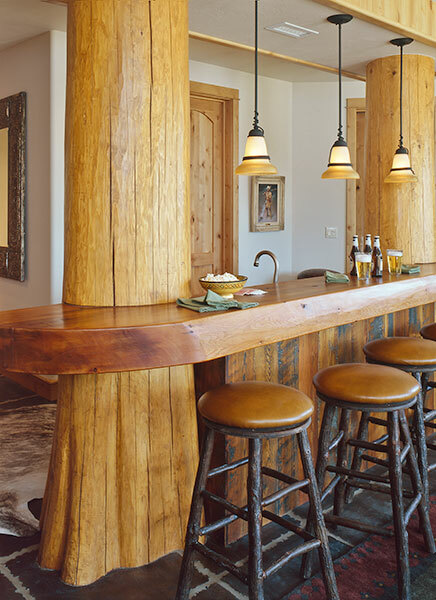 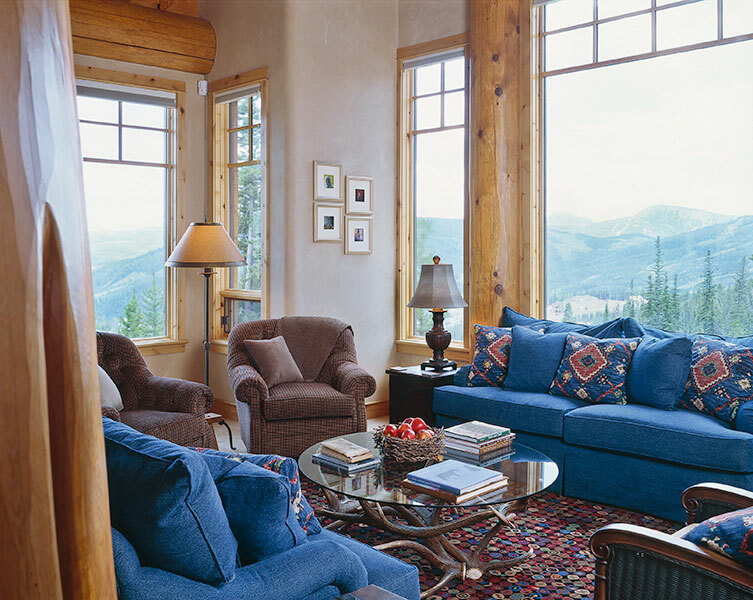 The rich honey-colored logs in this post-and-beam home provide more than structural integrity; they are incredibly beautiful everywhere they are exposed and, in places, Doug Bing’s design transformed them into functioning built-in benches and shelves. 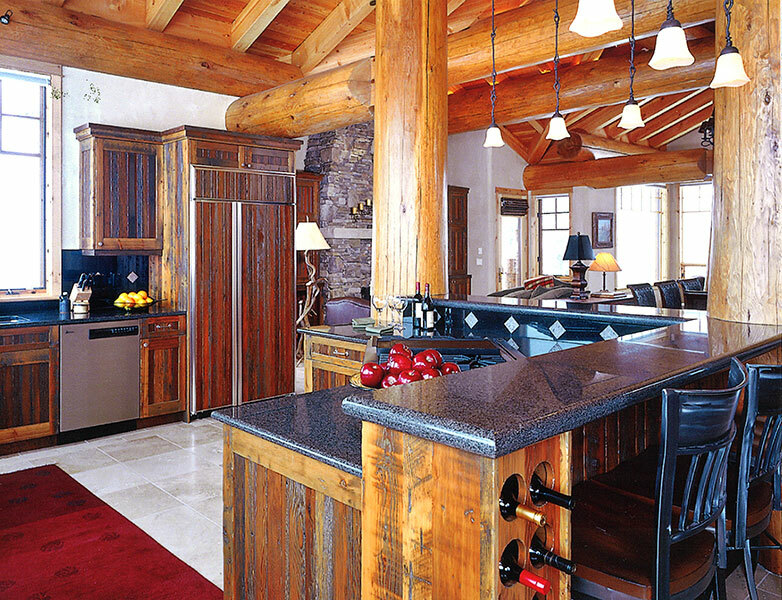 From the detailed custom cabinetry—made with exquisite reclaimed wood—to the stained concrete basement floor accented with grout joints, every detail of this Big Sky masterpiece reflects the superior craftsmanship for which Blue Ribbon Builders is known. 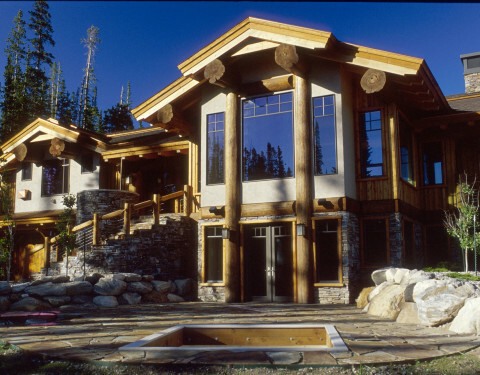 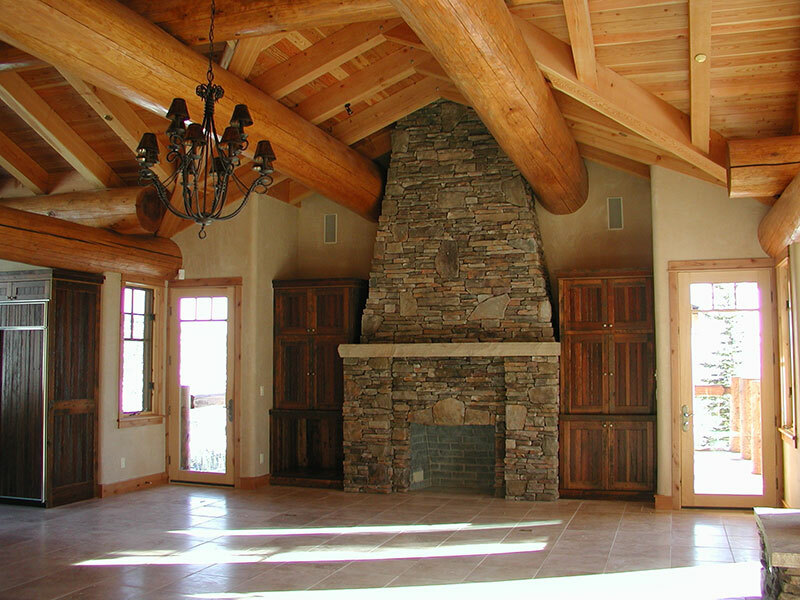 A covered deck with a stacked-rock fireplace, wet bar, wine cooler and drive-through garage add to the home’s comforts. 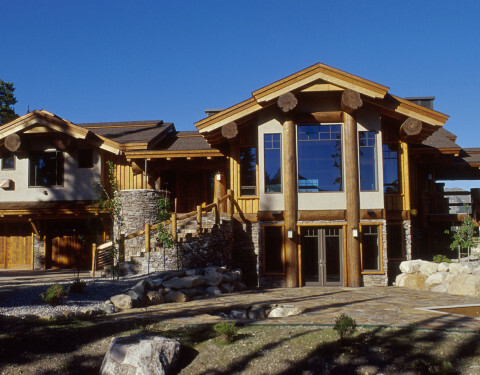 Granite countertops and windows that frame breathtaking mountain views complete the elegant look of the Ridgeview II House.